2018 TIPA World Awards Winners. The best products in the photo and imaging market are listed below. 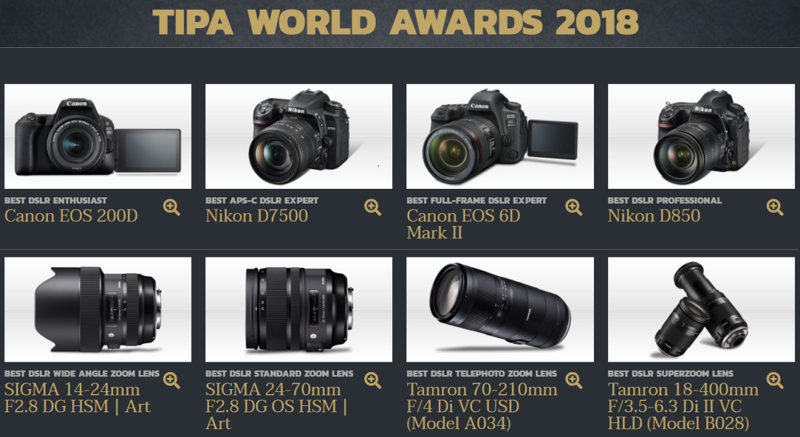 The Technical Image Press Association (TIPA) announces its awards for the best photo and imaging products launched by the industry in the last 12 months.